About "Modeling decimal division worksheets"
Worksheets on modeling decimal division are much useful to the students who would like to practice problems on division with decimals. 1. Divide 6.39 by 3 using model. 2. Divide 9.36 by 3 using model. 3. Divide 2.42 by 2 using model. 4. Divide 2.68 by 2 using model. 5. Divide 4.48 by 4 using model. Divide 6.39 by 3 using model. To do the above division, in the given decimal, the whole number part 6, tenth part 3 and hundredth part 9 have to be shared equally into three parts. In the picture given below, let us assume that each square grid has the length 1 unit (the whole). In the given decimal 6.39, the whole number part is 6. To represent this whole number part 6, let us shade the first six columns. According to the problem, share the above grids into three equal parts. 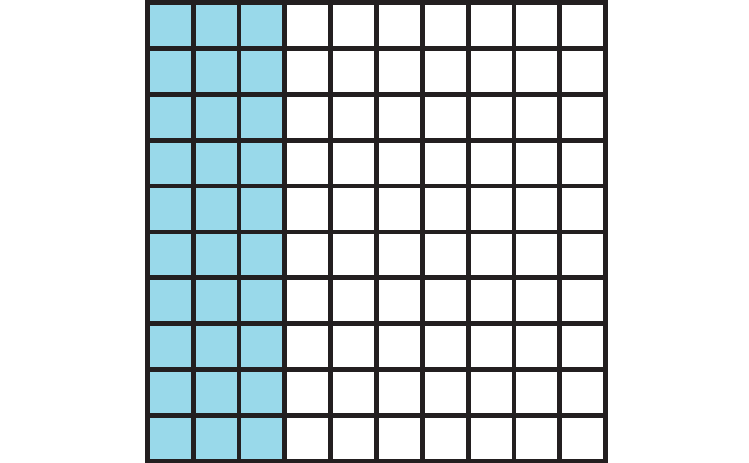 In the above grids, each part is shaded in different color and each part contains two columns. In the picture given below, let us assume that each square grid has the length one tenth unit (1/10). In the given decimal 6.39, the tenth part is 3. To represent this three tenth (0.3), let us shade the first three columns. 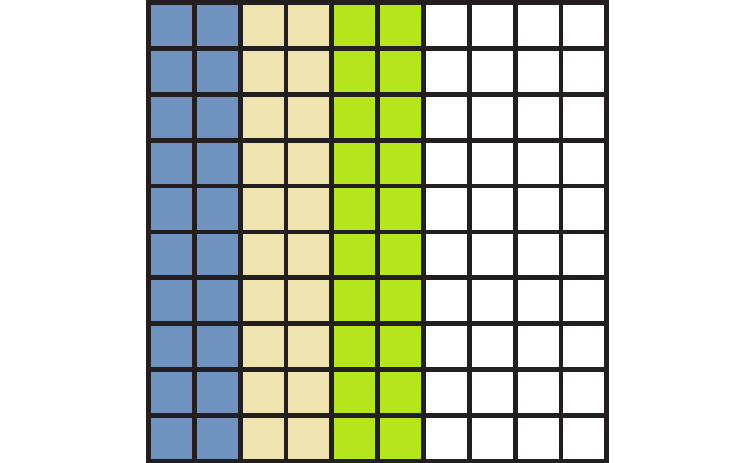 In the above grids, each part is shaded in different color and each part contains only one column. In the picture given below, let us assume that each square grid has the length one hundredth unit (1/100). In the given decimal 6.39, the hundredth part is 9. To represent this nine hundredth (0.09), let us shade the first nine columns. In the above grids, each part is shaded in different color and each part contains three columns. After having gone through the stuff given above, we hope that the students would have understood "Modeling division of decimals worksheets". Apart from, if you need any other stuff in math, please use our google custom search here.